I have many books to read this summer. There are more on another bookshelf. I also have a few e-books. I enjoy Amy Tan’s books and always am fascinated by Abraham Lincoln’s life. Great selection! 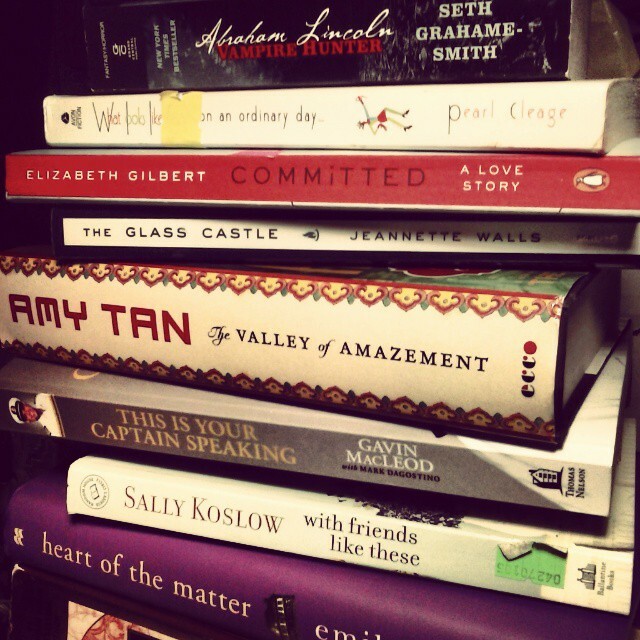 LOVE a good stack of to-read books! Enjoy!